The PPLA brand is ready to fill her closet with fabulously trendy clothing that are all one-of-a-kind and designed with love. With the strong women in mind, these styles stand out from the rest and are ready to become her favorite outfits. The People�s Project LA is inspired by all of the fabulous natives from Los Angeles. Whether she is heading to a fun summer concert or she�s picking out her first day back to school look. 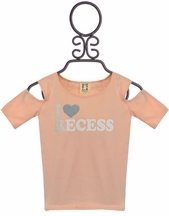 We know that the carefree tops and dresses from PPLA will catch her eye. 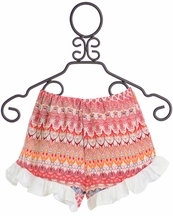 We love to offer trendy tween clothing and that is what fills every season collection from PPLA. We have recently welcomed several pieces for the spring and summer season. 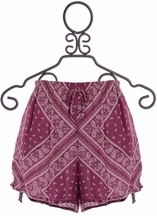 Personal favorites among the many beautiful designs are the fun designer shorts. These lightweight fabrics are covered with popping prints while offering her a comfortable and cool style that her friends will envy. We know that the floral navy shorts are sure to be a big hit! The deep blue and touches of soft pink are fun to mix with most any top. Adding to their free spirited look, we adore the fun text printed on their tanks and short sleeve shirts. She will love that the scripted prints show off her summer style, �salty hair don�t care!� Their casual tops are easy to pull over her swimsuit to take a stroll straight from the beach to the boardwalk shops. As with all of the best spring collections for this season, we have several casual summer dresses for tweens covered with beautiful floral prints. With soft and light fabrics, these dresses move with the warm breeze and are perfect for styling with her fringe purse and gladiator sandals. Are you ready to hear about more of the new items from PPLA? Let�s dive into the Chambray Tank for Spring. With a rich blue shade, this tween top might look like denim at first glance, but let�s take a look closer. Chambray is often confused with denim, but the two fabrics are different. We love the lighter weight weave of this chambray, perfect for summer heat while still hitting on all of the trends! A soft V is cut out on the front of the neckline while a single ruffle creates a faux collar, defining this as a look of its own. A small white print covers this top while the casual fit falls to a ruffle at the hemline. Sure to become her favorite staple for the season, the light grey duster is something every tween needs in her closet. This is perfect as the school year is coming to an end, the chill of air conditioning can harsh her new spring wardrobe vibe. With a duster like this, that won�t be a problem. The cardigan is long and shear while featuring a cute hood. This is the perfect companion for her casual tee shirts and fun leggings! The stone shade makes sure that she can find tons of outfits that coordinate.